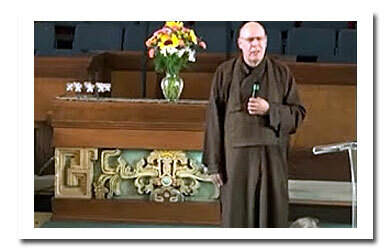 Audio & Video with Kusala Bhikshu... an American born Buddhist monk (www.kusala.info) living in Los Angeles, California. Kusala shares his understanding of Buddhism in a simple, non-technical way through stories, humor and personal insights. Rev. Kusala speaks on the Buddha and his teachings in churches, high Schools, colleges, and universities throughout Los Angeles and Orange County. - Visit Rev. Kusala's YouTube Channel for some old and new videos. "I have been listening to your podcasts as I drive around Sydney, Australia. I am a beginner in Buddhism and your podcasts have really helped and inspired me to continue along the path. Thank you for sharing the dharma, it has been a gift. Warm regards, F. W. S. - PS, Just went on my first mediation retreat this weekend!" "Aging and The Aggregates." - 2.25.18 - 23.05 - My Sunday talk (01.28.18) at the 'Against the Stream' on Melrose in Hollywood CA. "Understanding Buddhism" - 2.4.18 - 35:03 - My Sunday talk (02.04.18) at the 'The International Buddhist Meditaton Center' in Los Angeles, CA. "Why Stuff Happens" - 1.28.18 - 44:06 - My Sunday talk (01.28.18) at the 'Against the Stream' on Melrose in Hollywood CA. "Living The Precepts" - 1.13.18 - 43:43 - My talk (1.13.18) for the 'Day of Mindfulness Retreat' at the UU Church of Ventura, CA. "More Than One" - 11.26.17 - 46:22 - My Sunday talk (11.26.17) at the 'Against the Stream' on Melrose in Hollywood CA. "A Question of Faith" - 11.5.17 - 24:22 - My Sunday talk (11.5.17) at the 'The International Buddhist Meditaton Center' in Los Angeles, CA. "High School Dharma" - 10.9.17 - 45 min - My talk at Palos Verdes High School on basic Buddhism. "Meditation" - 10.1.17 - 35 min - My Sunay talk at the IBMC on Buddhist meditation. "Being Free" - 7.2.17 - 34 min. - My Sunday talk at the IBMC on... "Buddhism and Being Free"
"Building a Life" - 6.4.17 - 23 min - My Sunday talk at the International Buddhist Meditation Center in Los Angeles on building a life the Buddhist way. "Finding Happiness" - 2.14.17 - 14 min - A talk I gave in 2012 on finding happiness and Mitch the Dog. "The Best Way Out" - (YouTube Video) - 11.20.16 - 28 min - My talk at the "Center for Spiritual Living - Ventura, CA" on finding a way out of suffering. "Benedict's Dharma 2 - 2003" - (YouTube Video) - April, 2003 - 10 min - Forty Episcopalian men and women gathered in historic New Harmony, Indiana. "Love, Kindness and Compassion" - 9.26.16 - 42 min - My talk at 'Against the Stream' on Melrose in Los Angeles. Buddhist Wisdom - 8.28.16 - 48 min - My talk at 'Against the Stream' on Melrose in Los Angeles. Being Grateful - 7.24.16 - 29 min. - My talk at 'Against the Stream' on Melrose in Los Angeles. The Eight Ways We Suffer - 5.22.16 - 48 min - My talk at 'Against the Stream' on Melrose in Los Angeles. Buddha's Birthday; Why it's Important - 5.1.16 - 25 min - My Sunday talk at the IBMC. The Meaning of Life - 4.24.16 - 30 min - My talk at 'Against the Stream' on Melrose in Los Angeles. Happiness in Buddhism - (YouTube Video) - 4/3/16 - 27 min - My talk at Center for Spiritual Living, Ventura, CA. Building A Practice - 2/28/16 - 63 min - My talk at 'Against the Stream' on Melrose in Los Angeles. The Six Perfections - (YouTube Video) - 2/21/16 - 34 min - At CSL Simi Valley on the Six Perfections - Generosity, Morality, Patience, Energy, Meditation and Wisdom. The Five Reflections - 1/24/16 - 51 min - My talk at 'Against the Stream' on Melrose in Los Angeles. The Six Perfections - 11/23/15 - 53 min - A talk to students visiting the International Buddhist Meditation Center. Buddhist Meditation - 11/8/15 - 35 min - A talk on Buddhist Meditation at the International Buddhist Meditation Center. Thoughts and Reflections on the Week that Was - 10/25/15 - 58 min - My talk at 'Against the Stream' on Melrose in Los Angeles. Understanding Buddhism - 9/27/15 - 57 min - My talk at 'Against the Stream' on Melrose in Los Angeles. Let Karma Be Your Guide - 8/23/15 - 56 min - My talk at 'Against the Stream' on Melrose in Los Angeles on "Letting Karma Be Your Guide." Building a Good Life with Buddhism - (Video) 8/11/15 - 28 min - My Sunday talk at the, 'Center for Spiritual Living' in Ventura, CA on 8.9.15. Why Stuff Happens - 7/26/15 - 42 min - My talk at 'Against the Stream' on Melrose in Los Angeles on "Why Stuff Happens." Letting Go - 6/28/15 - 55 min - My talk at 'Against the Stream' on Melrose in Los Angeles on 'Letting Go'. Growing Old with Rites and Rituals - 5/24/15 - 45 min. - My talk at 'Against the Stream' on Melrose in Los Angeles on Buddhist rites and rituals. Salvation in Buddhism - (Video) 4/12/15 - 26 min. - My talk Sunday (4.12.15) at the "Center for Spiritual Living" in Ventura on "In Search of Salvation." Journey as Lifestyle - 4/10/15 - 33 min. - An excerpt from a talk (4.8.15) to an urban studies class on Buddhism and my journey as a Buddhist. Finding Wholeness and Salvation in Buddhism - 3/23/15 - 59 min. - My talk (3/22/15) at "Against the Stream" on Melrose in Los Angeles, CA. A Good Death - 2/22/15 - 61 Min. - My talk (2/22/15) at "Against the Stream" on Melrose in Los Angeles, CA on how meditation can help in having a good death. Working on Perfection - (Video) - 2/2/15 - 29 Min. - My talk (1/18/15) at the 'Center for Spiritual Living' in Simi Valley, CA on three of the Buddhist perfections. Buddhism and Urban Studies - 11/19/14 - 1 Hour and 24 Min. - My talk to urban studies students on Buddhism and the Buddha. Going to Heaven - 6/2014 - 35 Min. - My Talk (06.07.14) to the youth group (ages 7 to 14) at Sri Ratana Buddhist Center on, "How to go to heaven." Compassion - Where Does it Come From? - Posted 8/2012 - 23 min - 21 MB // My talk at the UU Church in Studio City. This talk was given on July 1, 2012. Realizing Nirvana - Posted 7/2012 - 40 min - 36 MB // My talk at 'Against the Stream' in Los Angeles. This talk was given in June of 2012. A Life Worth Living - Posted 7/2012 - 45 min - 41 MB // My talk at 'Against the Stream' in Los Angeles. This talk was given in May of 2012. The Practice of Loving-Kindness - Posted 4/2012 - 42 min - 19.7 MB // My talk at 'Against the Stream' in Los Angeles on the practice of Loving-Kindness in everyday life. This talk was given in February of 2012. What We're All Here For - Posted 4/2012 - 53 min - 24 MB // My talk at 'Against the Stream' in Los Angeles on why we are here and what to do about it. This talk was given in January of 2012. Potential and Realization - Posted 4/2012 - 46 min - 21 MB // My talk at 'Against the Stream' in Los Angeles on our potential and how it turns into realization. This talk was given in December of 2011. Life and Death - Posted 4/2012 - 49 min - 22 MB // My talk at 'Against the Stream' in Los Angeles given in 2011. Peace or Happiness - Posted 4/2012 - 61 min - 28 MB // My talk at 'Against the Stream' in Los Angeles given in 2011. The Inevitability of Death - Posted 4/2012 - 56 min - 26 MB // My talk at 'Against the Stream' in Los Angeles given in 2011. Two Tales of Woe - Posted 4/2012 - 44 min - 20 MB // My talk at 'Against the Stream' in Los Angeles given in 2011. My Journey as a Buddhist - Posted 5/2009 - 43 min - 10.1 MB // My talk at 'Against the Stream / Buddhist Meditation Society' on becoming a Buddhist and what I learned along the way. I spoke at Against the Stream on March 29, 2009. Chadwick School 5-2008 - Posted 5/2008 - 44 min - 10.3 MB // My talk at Chadwick School on Buddhist morality, the five precepts and human perfection. Calm Over Chaos / - Flash Video - Posted 1/2008 - 4 min // A video interview on meditation with Lissa Coffey for her web site Coffey Talk @ www.coffeytalk.com... From Lissa's web site / Welcome to CoffeyTalk, the online magazine by lifestyle expert Lissa Coffey. Whether you’re looking for dating or relationship advice, or the latest in home and fashion trends, CoffeyTalk is an inspiring blend of ancient wisdom and modern style! A Path to Voluntary Simplicity - Posted 11/2007 - 32 min - MP3 - 7.4 MB // My talk at the 1st Unitarian Church of Los Angeles titled "Voluntary Simplicity" based on a book by Duane Elgin. First published in 1981 "Voluntary Simplicity" is about getting your choice back... Choosing simplicity over complexity, voluntary over involuntary... It's all about being free to choose. IBMC - A Short Video / Flash Video - Posted 8/2007 - 6 min // A short video of the International Buddhist Meditation Center... I share some of the history of the IBMC as we take a 6 min video tour of where I live and work. Santa Margarita Catholic High School - Posted 6/2007 - 52min - MP3 - 11.9 MB // My talk at Santa Margarita Catholic High School, June 4, 2007. I was invited by a member of the Los Angeles Buddhist/Catholic Dialog to speak to his ethic's class at Santa Margarita Catholic High School on being a Buddhist. Northwood High School - Posted 4/2007 - 1 hr 7 min - MP3 - 15.4 MB // My talk at Northwood High School in Irvine, CA on basic Buddhism to a comparative religions class. Ralph Metzner, and Richard Alpert aka Ram Dass. Meditation; How and Why - True Yoga - Posted 11/19/05 - 51 min - MP3 - 8.8 MB // A talk given to a group of new yoga instructors at True Yoga (www.trueyoga.com) in Thousand Oaks, California on the how's and why's of meditation. Santa Barbara to San Diego, sharing his knowledge of the Buddha and his teachings.